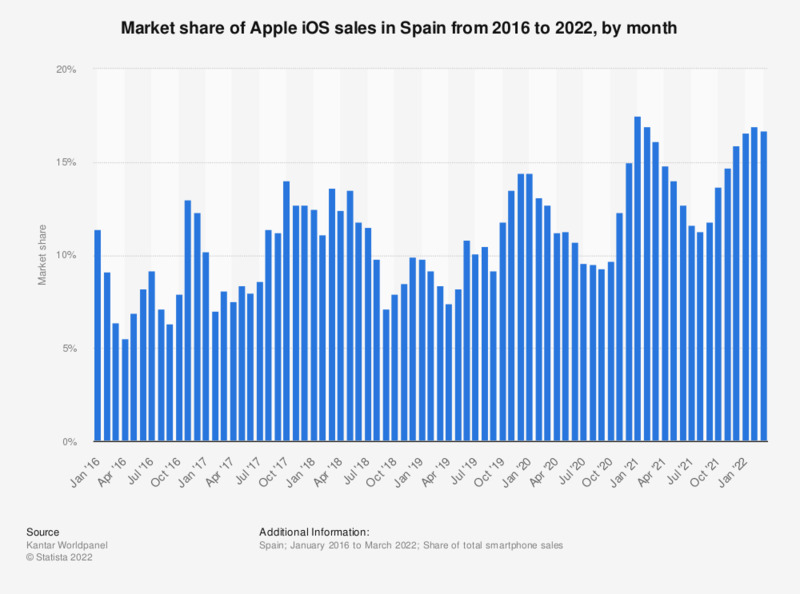 This statistic shows the market share of iOS phones in Spain from January 2016 to June 2018. The iOS operating system has seen somewhat volatile sales over this time period. In early 2017, iOS saw a drop in its market share, but sales begun to increase again from August 2017. In June 2018, iOS sales accounted for approximately 11.8 percent of the Spanish smartphone market. All figures represent the most recent 3 months ended of current month.